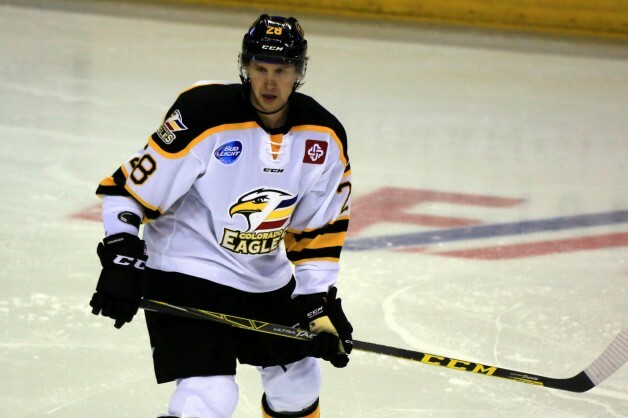 An injury suffered last season started Channing Boe’s ECHL season with the Colorado Eagles later than normal this year, but he’s now 100 percent and ready to help the Eagles make a second-half run to the Kelly Cup Playoffs. Boe, a 29-year-old forward from Bemidji, Minn., skated the past two seasons with the Utah Grizzlies and the two years prior with the now-defunct Las Vegas Wranglers after graduating from Minnesota State University (WCHA) in 2011. He said playing against the Eagles as a visitor the past four seasons made his decision easy last summer to sign in Colorado. Adding that he loves the Eagles’ raucous fan base and top-notch arena, Boe said being well-cared for is an added bonus to playing for the organization. For the second half of the season, Boe said the key to moving up the West Division standings is two-fold.